​The nature of the Premier League was surmised succinctly in one match last weekend. Crystal Palace, slumped in last place with nary a point to their name, defeated champions Chelsea to gain their first win, their first points of the season. It typified the unique challenge of our league, and sent out a warning to all teams that every single game must be treated with grave respect. Everyone can beat anyone, and as we face Everton, we should do well to remember it. The Toffees are sitting just two points outside the relegation zone, with no wins in their last four games and are sitting at the bottom of their Europa League group. After being one of the biggest spenders in the summer, it is safe to say that this is falling some way below expectations. They are languishing and this game should be one that a merciless, title-challenging team should win convincingly. The problem is though, that we too are falling some way below our expectations. A win last weekend against Watford would have put us above Chelsea and into the top4. Instead, we turned in a performance we have seen repeatedly over the years and got what we deserved, which was nothing. If we do the same again against Everton, then we will get the same return. Then there is the problem with our away form. Only Crystal Palace have conceded more away goals than us in 2017. We are still looking for our first away win in the league, and this simply cannot continue. We must step on this prone Everton team as they struggle to get back on their haunches. There are certain weaknesses in our team that will leave opponents with chances. Our midfield is under power as we have Granit Xhaka underperforming and out of position, with Aaron Ramsey unable to gain a real run of games. We need someone to take the game by the scruff of the neck, but we have an engine room that is running out of synch with the rest of the team. We will still be without Shkodran Mustafi and the German is expected to be out until at least November. Danny Welbeck is out after limping off against Watford, but Laurent Koscielny has a chance of playing. Aaron Ramsey will also face a fitness test most likely, but our Europa League heroes surely deserve a chance by now. Olivier Giroud and Jack Wilshere have shown they are up to speed, but with Alexandre Lacazette being a rare ray of hope for us so far and Jack Wilshere seemingly unable to shift Xhaka from his role, it seems unlikely things will change. Alexis Sanchez and Mesut Ozil will surely return to the team, as will Hector Bellerin and Sead Kolasinac. We will need all of them to be on song, as Everton will make life difficult for us. James McCarthy looks likely to return to the side, and with Morgan Schneiderlin doubtful, he has a place lined up. Leighton Baines and Wayne Rooney will come back in after being rotated for the Europa League, but it is goals Everton need. Everton have a goal difference of -8, and after spending so much money, replacing Romelu Lukaku has been far harder than imagined. Another game, another must win match. Another away game that gives us the opportunity to buck this awful trend. 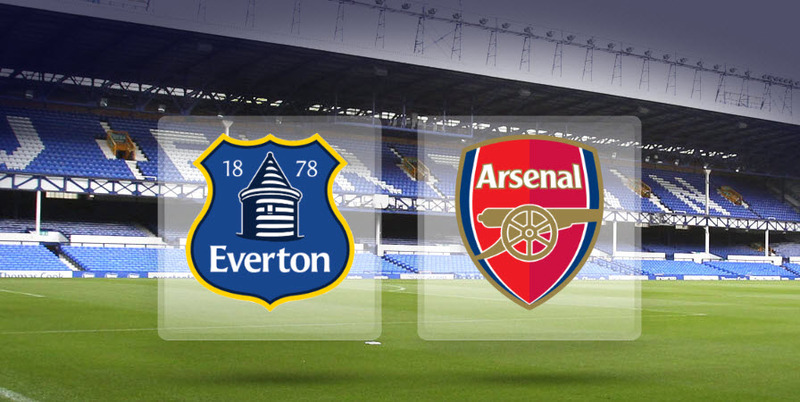 Next ›Everton 2-5 Arsenal – the return of our style. I meant TURD not TURN.